My roommate Carissa once told me that she will never wear a piece of clothing with a face on it. It's kind of like wearing part of a person's soul. So maybe Spring's Prada coats are not for her. But shows like Prada did have us seeing double - double faces, that is. 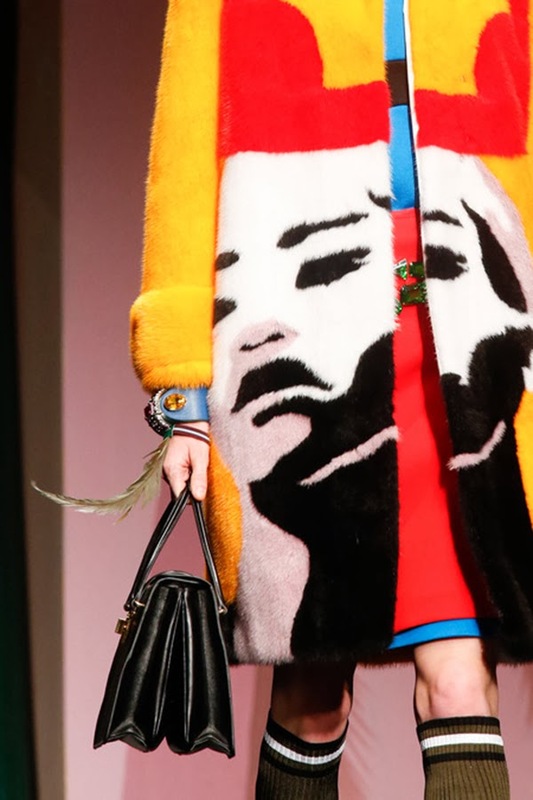 Models sported painted women on coats and skirts. Not the most subtle of prints, of course, but the dresses were perfect for the fashion fearless. The trend of incorporating faces (and facial features) into clothing is far from over. Anna Wintour stirred up fashion critic controversy with the furry and face-printed Prada coat she wore to the Girls Season Three Premiere Party a few weeks ago. 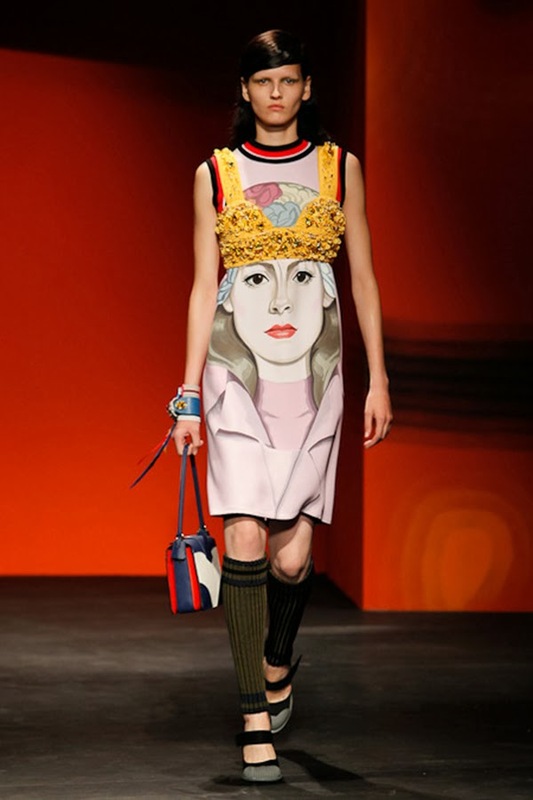 Back on the runways, designers like Jean Paul Gaultier and Stella McCartney have been similarly inspired by portraits, turning artistic interpretations of faces into fashionable prints. These more abstracted versions translate better to everyday wear, and work as statement pieces if you are looking for a way to liven up your otherwise simple outfit.